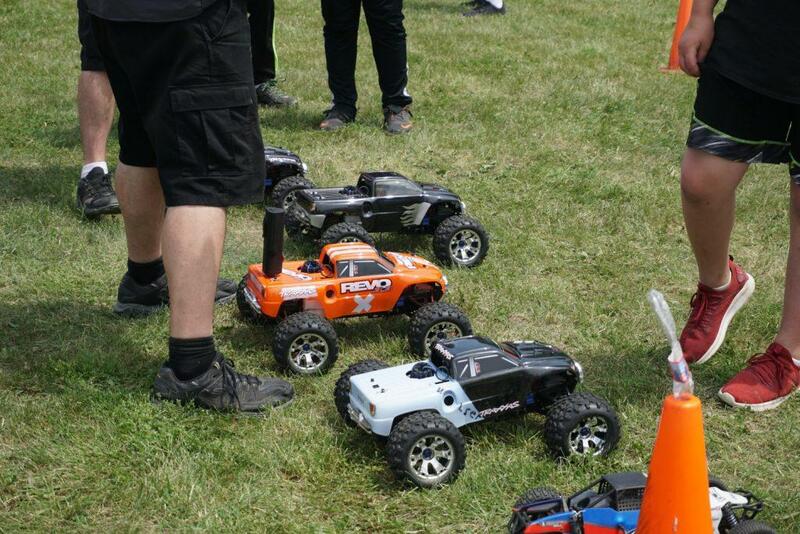 Nitro-X is a Summer Camp where middle school aged campers work on remote controlled cars. They learn about how vehicles work, build their confidence with technical skills, work in teams to develop life and employability skills, gain exposure to industry by going on tours of local businesses and have fun showing off their skills at the end of the week with a race. "My son enjoyed all parts of camp!" "My child got excited about learning how to change tires. He learned about how cars/engines work. He was excited to build an RC car from the ground up." "My son went two times and loved it!" "The staff was very professional, helpful and kind. They did a fantastic job." "I have nothing negative to say!! wonderful experience for my child." "I wish this camp was around when I was a child to just understand more about cars and motors." 5 days of awesome activities! Campers get the opportunity to learn about careers in transportation areas ranging from Automotive Technology, Auto Body and Collision Repair, Medium and Heavy Truck Technology, Diesel and Heavy Equipment to Marine and Powersports by learning technical skills through hands-on activities and challenges throughout the week. Campers work with industry professionals to prep and paint their car body using the same materials and techniques used in the auto body and collision repair industry. The car bodies are personalized by campers through the selection of paint color, custom paint designs and decals. At the end of race day, campers have the opportunity take their custom car body home as a souvenir of their time at camp. Campers typically tour three local businesses during camp learning about local transportation careers. Tour sites are selected based on local workforce needs and business availability. Previously campers have visited sites including Ziegler CAT, Morries Auto Group locations, Luther Auto Group locations, Main Motors, Midwest Machine, Mills Auto group locations, Hibbing Chrysler Center, Ford of Hibbing, Ranger Chevrolet, Schwieters, Gilleland Chevrolet, Tenvoorde Ford, GATR Trucking, Superior Service center, and Kent’s Auto Body. After a week of learning new skills, technical information, meeting new friends and touring local businesses, campers and their families are invited to participate in race day in which campers compete against each other to see who can master the road course, see whose custom painted car body is best in show and enjoy a fun filled day with family. Many sponsors are invited to participate during race day through events like a sponsor race, bringing vehicles for the family and friends of campers to look at, and to mingle with campers and their families. Proudly showing off her car body! Showing off this fun car body! Getting the cars ready to race! Want to stay up to date with the latest Nitro-X news? Follow our social media account to see photos, videos, and more from the Nitro-X camps. We also post updates to schedules and other important information on how to attend. For registration click "Visit College Website"